I absolutely love buying the kids cute clothes and the funkier the better. I try to buy things that are a bit different or have a cool slogan or even better - personalised clothing. You really can't beat a lovely piece of personalised clothing for kids. 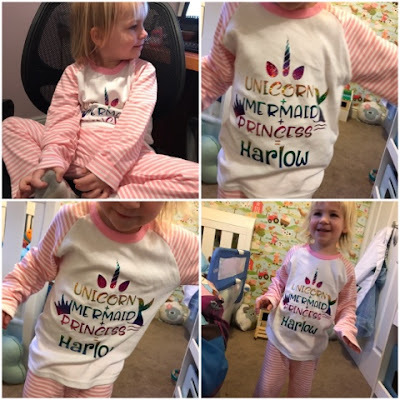 It always makes it seem more special and of course the kids love having their very own clothes personalised just for them. Recently Logan and Harlow were sent some lovely clothes from Teether.co.uk, an online baby boutique specialising in children's personalised clothing. Teether have recently set up and are adding new collections to their website every day so do keep checking back for lovely new designs. As for my two Harlow received a gorgeous pair of personalised pjs and Logan received a fabulous personalised hoodie. Harlow received the personalised girls fantasy pjs and absolutely loves them. They have a gorgeous holographic design on the front that says "Unicorn + Mermaid + Princess = Harlow" with a unicorn horn, mermaid tail and princess crown also beside the writing. 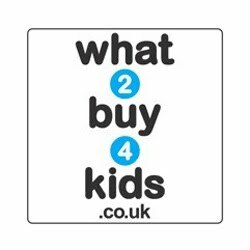 You can get them from a size 6-12 months all the way up to 5-6 years. 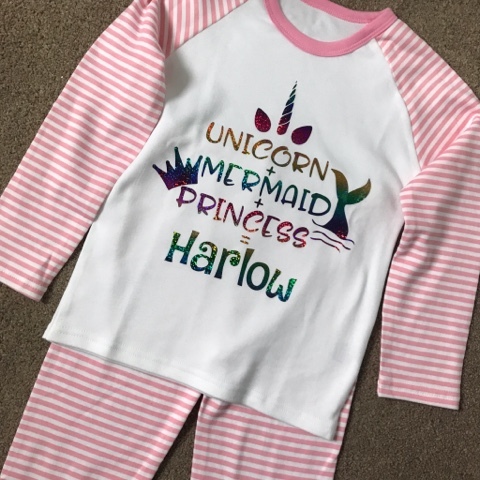 I requested the 3-4 years for Harlow since she was 3 in January and they're fab. Harlow is just a little short for her age so the bottoms are slightly long however since they're nightwear it really doesn't matter. If anything it keeps her snug and cosy. The colours are a soft white and baby pink and the material itself is so gentle next to little ones skin. It really is very soft and I was pretty impressed with the quality. I've washed them at least 3-4 times already and they haven't stretched, faded or become bubbled. So definitely winner all round. 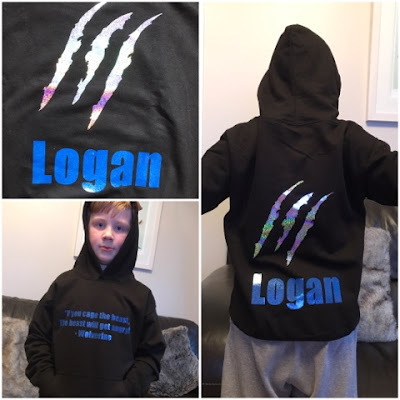 Logan was absolutely overjoyed to receive is personailsed hoodie from Teether.co.uk and loved that is was so unique to him. I picked a size 9-11 years black hoodie and asked that it be personalised with his name but also a lovely quote. 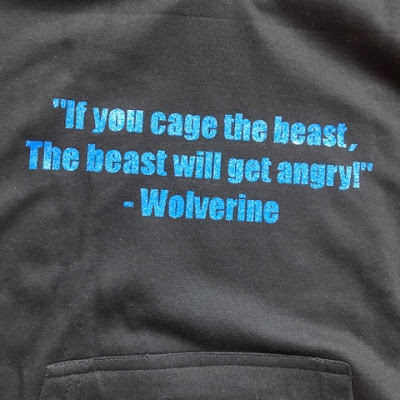 So he got his name on the back with cool Wolverine claw marks and he also got a brilliant Wolverine quote on the front. For those of you who don't know the hubby and I picked the name Logan from the Wolverine film X-Men Origins: Wolverine. I was pregnant in 2009 with Logan when the film was released and we just thought Logan was such a lovely name so it stuck. Anyway back to the hoodie! It's lovely and cosy and soft against Logan's skin. He can't wear anything itchy (sensory issues) so he likes soft comfortable clothing. This hoodie fits the bill well. The colours and design are lovely and bold. Very shiny and totally awesome (Logan's own words). He really can't wait to wear this out and about and has already requested it several times. These hoodies aren't currently on the Teether.co.uk website however a quick email to the team and I'm sure they'll have one printed up for you. Overall these items of clothing are gorgeous and I'd definitely buy from Teether.co.uk in future as the quality is so good. Another great thing as well for you guys is that orders over £10 get free shipping and once you see the clothes available your basket will be full! We were provided with these items in return for an honest review. All opinions are my own. 0 comments on "Review: Personalised Children's Clothing from Teether.co.uk"